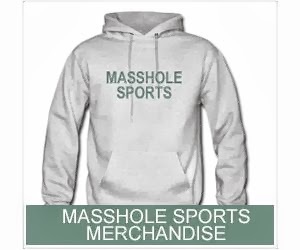 This has become a bit of a Masshole Sports tradition. Anytime the Red Sox play the Yankees, I post these videos of Yankees fans getting hit in the face with foul balls for your enjoyment. So, in honor of the Red Sox playing the Yankees for a three game series this weekend, here they are again. Yankees fans getting hit in the face with foul balls. Enjoy. This guy brought his glove and still got hit in the face. Poor bastid (not really). 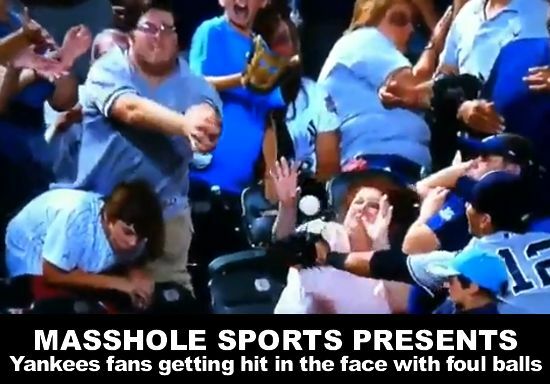 If this lady wasnt a Yankees fan, Id feel bad for her. But she is...so I dont. Here, the ball gets deflected. Poor bastid never had a chance.